David K. Hurst is a contributing editor of strategy+business. His writing has also appeared in the Harvard Business Review, the Financial Times, and other leading business publications. 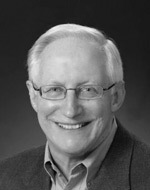 He is the author of The New Ecology of Leadership: Business Mastery in a Chaotic World (Columbia University Press, 2012). He blogs on strategy, leadership, and change at www.davidkhurst.com. Old stories, new jobs, technological hype, and gay leadership. A container-shipping retrospective, a strategic admiral, farsighted forecasting, and admirable strategies. “Rank and yank” defended, consumers empowered, innovators differentiated, and Michael Jackson inflamed. Turnaround champions, China’s entrepreneurs, executive pay, and Wall Street’s edgy investment bankers. How you lead your leaders is just as important as the guidance they give you. Jack Welch’s autobiography has plenty of emotion. For introspection, however, consider the new books by Boyle, Coyle, and Tedlow. Certain individuals are born zealots. But from Hamel to Handy, gurus agree that the organization shapes their ability to lead. A superior swing requires a conscious setup, intuition, adapting to feedback, and ballistic moves. Sounds a lot like leading a complex organization.